Jack turned 9 yesterday and when you have a birthday on a school day, you need to bring a treat. However, I really didn't feel like baking and it's hard to buy a treat that is peanut-free, so we needed to think outside the food realm. 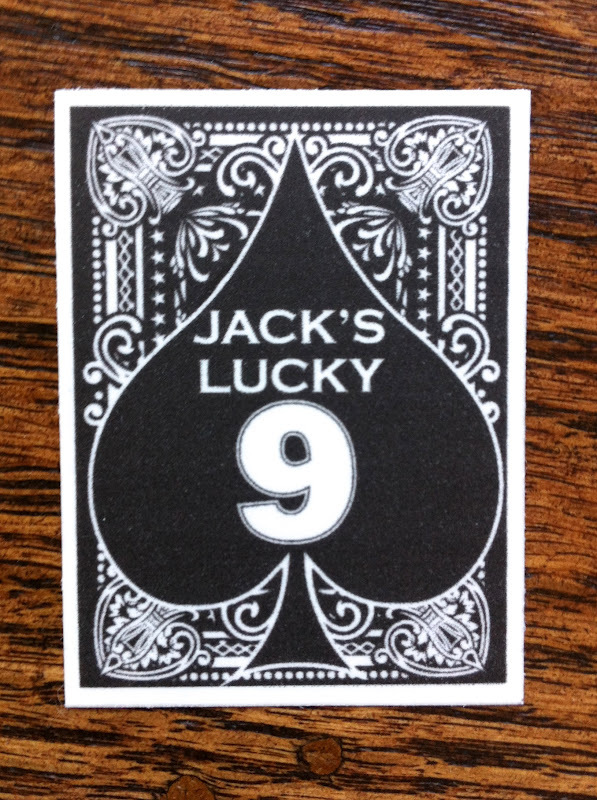 Jack and I headed to a store that has everything last weekend in search of the perfect favor idea and found these great mini playing card decks. The case is about 1.5 x 2.5" so I'm truly not sure how playable they actually are, but Jack was pretty sold (actually it was between these and gigantic dice...like 4x4" in size, but these won). 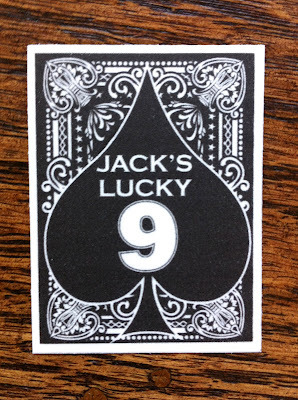 Thanks to my awesome friend Sandy, we were able to personalize each deck with a label for Jack's big day. I printed them on clear sticker paper (because that is what I had in the house), but I think they would have looked even better if I had used white for the background. Thanks so much for helping me out Auntie Sandy! Jack loved them and insisted on putting on every label himself. And just like that, my first baby is nine years-old. I truly cannot believe how fast time flies, but I love watching him grow and am very proud of the kid he has become. Great idea for the cards and I like the stickers. Nice personalized touch! Happy birthday big guy! Very cool. You are so damn crafty. AJ Bomber's is the bday choice for my kids, too. They are burger hounds. What an amazing, creative, and totally slick-looking birthday treat! And I'm sorry to hear about your shoulder issues, too, I hope you're on the mend and back to normal ASAP. What a clever idea and I am sure the parents appreciated less treats. Happy Birthday to him - how is it possible that nine years have passed us by already?! That's a great idea, the labels look awesome!